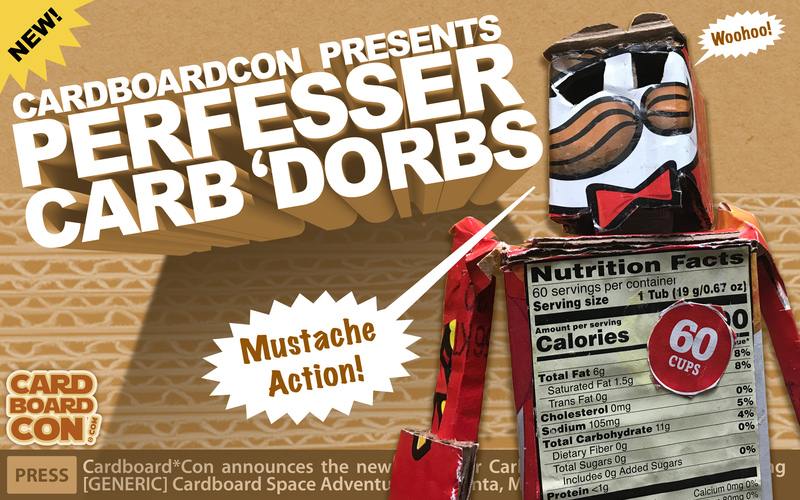 Cardboard*Con doesn't suffer from the congestion which plagues other volunteer-based mega sci-fi conventions. We save you, the convention-goer, time and money by using the latest crowd-sourcing techniques to maximize your enjoyment. Also: membership is FREE. Such a great good tim could not have been plan better or else!! Students from Morehouse attend! document event! Sculptur design by John Portman!! Parade photo-op in Hyatt Regency at big post!! Post inside hotel design by John Portman!!! Everbody Sing Offishul Cardboard*Con Theem Song!!! Cornbread*Con set have big display! Hand out cornbrad!!! Everbody can drink rums get rums! Others don't!!!! Speshul Seekrit Guess FINALLY REVEAL!!! It Alton Brown!!! Third Plac: Lemley Fambly as Generic Space Fambly!! Sekunt Plac: Elizbeth Mire as Sailor Moon!! Firss Plac: Eric Schumacher as Green Space Alien with Tentakuls!! Honorbull Menshun: krazee protest man!! Honorbull Menshun: Everbody who ever dress up for Cardboard*Con!! 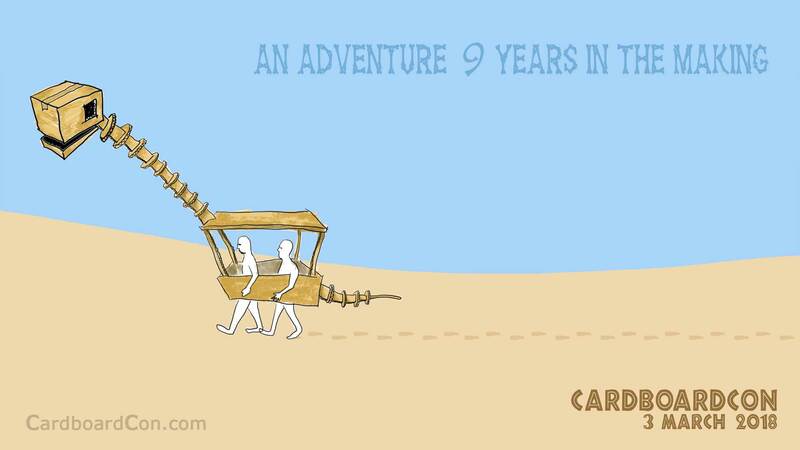 Great 10 years!!! Thanks you!!!! Generic Cardboard Action Heroes Commercial Hits! 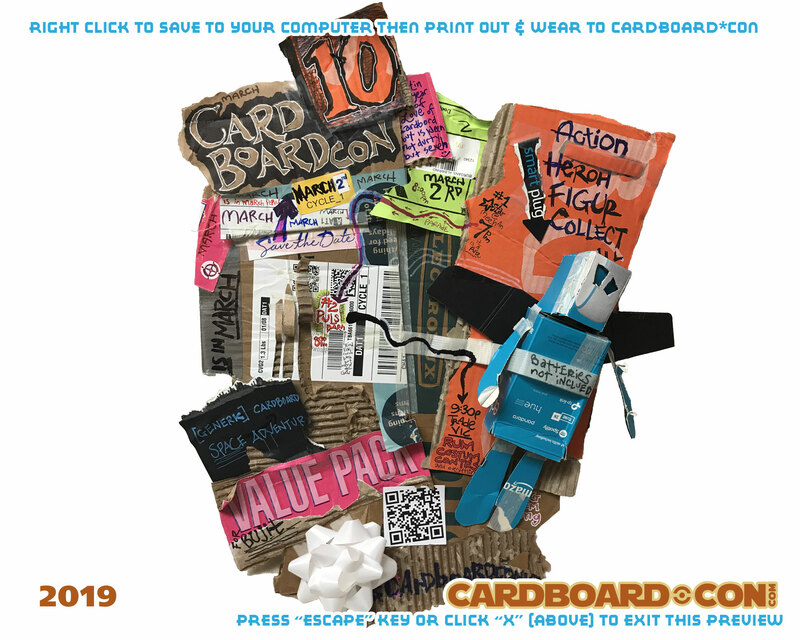 2019 Cardboard*Con Badj Now On Sale (Now)!! So much excitement is happen in sci-fi!! 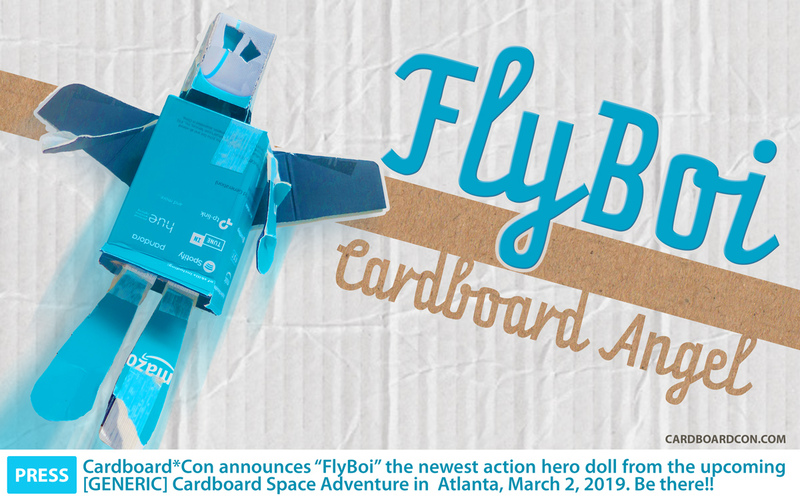 Surprising everyone, including themselves, officials from Cardboard*Con teased the lineup from their 2019 toy lineup, to be revealed at the 10th Annual Cardboard*Con on March 2rd. Vendors looking to participate in our dealer's room should read the newly updated section 'Vendors & The Dealer's Room' on the About Page. Thank you for your wonderful interest and incredible energy!! 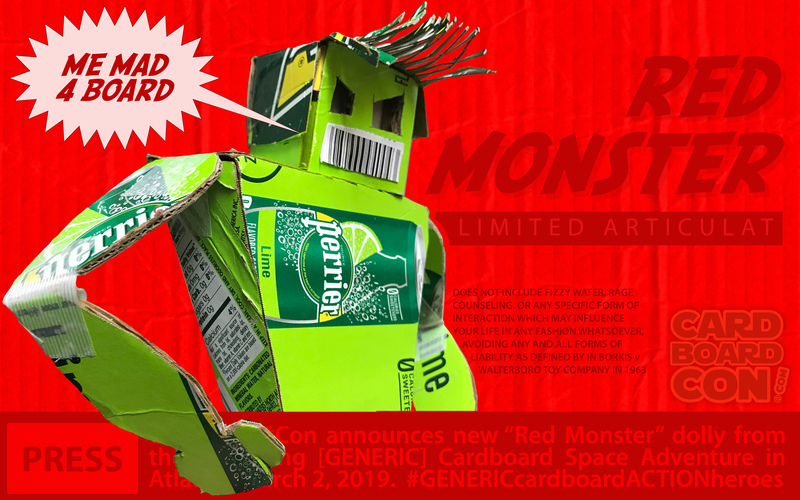 Shortly after 2am in the wee hours of January 5th, 2019, officials from Cardboard*Con gathered to announce to a hushed stall at the Georgia’s Farmers Market that the theme for this year’s Cardboard*Con will be “Generic Cardboard Space Adventure” . 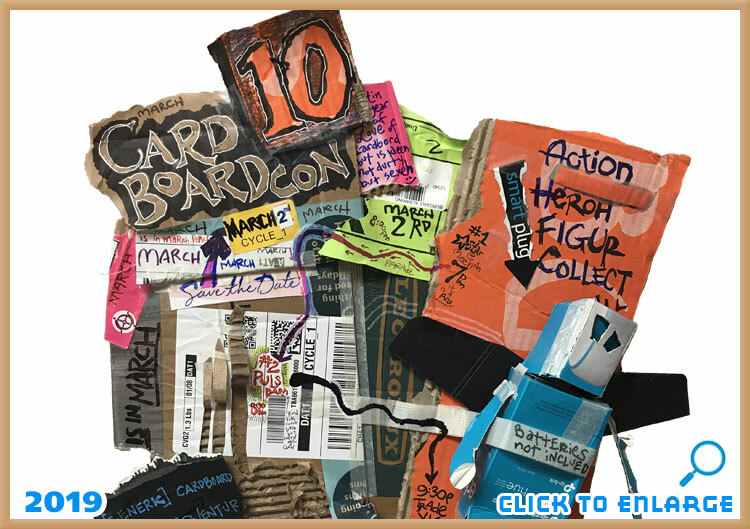 A recap of the 9th annual Cardboard*Con is now available in our new History section! It details the botched attempt to begin the convention, resulting in a shocking year without an official opening ceremony!!! It also revisits some of the special things that happened this year. Be sure to read the 2018 recap today! No other science fiction con has a badj as hard to get as ours, but how did it all begin? Find out more using modern hyperlink technology! We've added a new History section, where information about previous events has been collected! On February 22, 2018 Cardboard*Con unveiled its new Official Theme Song, "This is Cardboard*Con! ", performed by the Cardboard Enthusiasm Choir, featuring Spot the wonder dinobox, mascot for the 2018 Games. 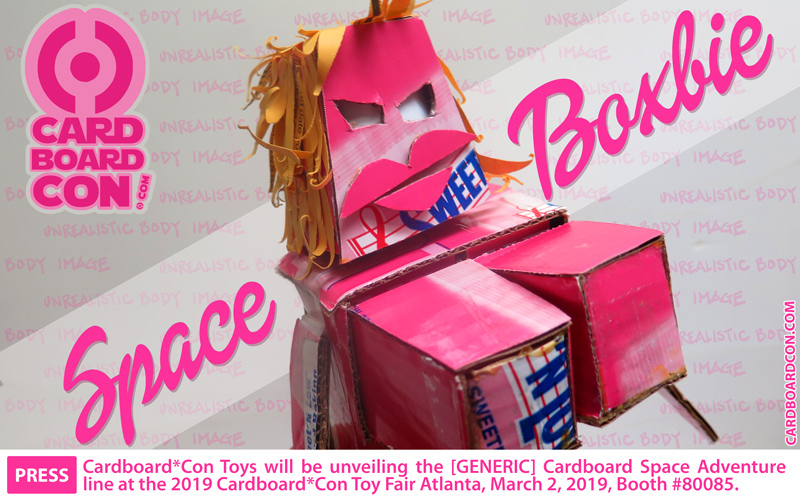 On February 22, 2018 Cardboard*Con unveiled its new tagline “It’s in March!”™, which has polled well in the 80 to 95 year old nerd segment. Pre-Production has commenced on our latest commercial, with music recorded by popular 80s band Denim Arcade. Next up is casting and filming! Cardboard*Con is the ONLY cool convention to have its own Official Theme Song! Have you heard it? Go listen to it now! !